Work injury compensation for warehouse and factory workers. That's our specialty. If you’ve been injured on the job in a warehouse, factory, assembly line or a loading dock, we’ll help you get the maximum compensation payments available to you. Our specialist work accident injury lawyers ask more questions and get to know you personally, so you’ll get more compensation. Warehouse, factory, assembly line and loading dock workers are particularly susceptible to workplace injuries. For example, we’ve helped many clients working in pick/ pack jobs where the repetitive action of twisting while lifting has led to back injuries. If you’ve been injured at work your employer should take care of submitting a workers compensation claim on your behalf, but you’ll need to get a certificate of capacity from your doctor and you’ll need to get it renewed every 28 days. This is used to determine your weekly payment amount, unless the insurer makes a work capacity decision that’s different from your doctor’s opinion. We have a team of hand-picked medical specialists who can assist with this process. 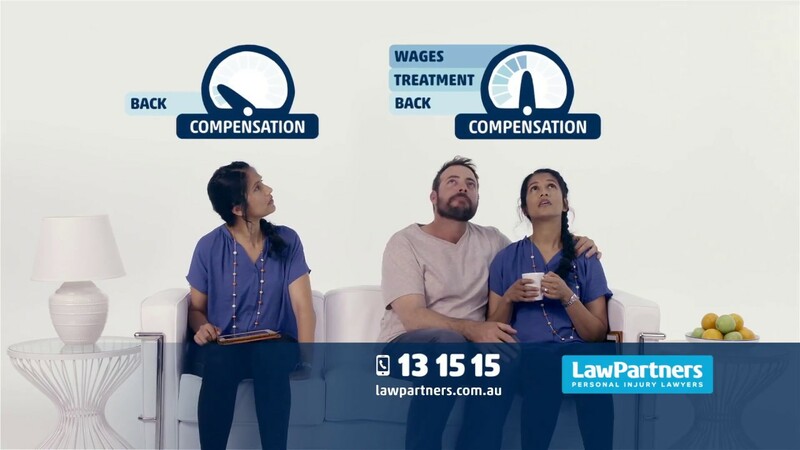 If you’re unsure what to do or whether you’re getting your full compensation entitlements, you can call us – it costs nothing to call Law Partners for advice. We’ll put you straight through to one of our specialist workers compensation solicitors, and you’ll have peace of mind that you’ve had legal advice about your rights. What if I’m a casual employee or contractor? Some industrial and warehouse workers such as pick/ pack and assembly line workers are employed on a casual or contract basis. As a casual worker you’re covered by your employer’s workers compensation policy, however regular contractors need to be a “deemed employee” to be covered. If you’ve been injured and you’re not sure whether you’re covered, or if you’ve been told you’re not entitled to compensation, one of our specialist workers compensation lawyers will be able to help you and explain over the phone where you stand. Where can I find a work accident injury expert in my area? We have solicitors and legal teams that specialise in workers compensation claims. What is permanent impairment compensation? If the injury you suffer causes a permanent impairment or loss of function of a part of your body, you may be able to claim and receive a lump sum payment for permanent impairment. The lump sum payment is paid in addition to any other benefit, and will affect how long you’ll be entitled to weekly payments and treatment. Impairment can only be determined when your injury has stabilised and reached ‘maximum medical improvement’. If your level of impairment is greater than 10% whole person impairment (WPI), you will be entitled to a lump sum payment. The amount is determined by reference to a WorkCover scale. For psychological or psychiatric injuries, you must have a minimum impairment of 15% WPI to claim a lump sum. How is my work capacity assessed? Your GP (nominated treating doctor) will issue you with a WorkCover Certificate of Capacity once every 28 days. Having no capacity to work. This is used to determine your weekly payment amount, unless the insurer makes a work capacity decision that contradicts your GP’s opinion.